1. 1200 sq foot two-bedroom suite with queen beds, wireless internet, clock/radio, robes & slippers, connected to an entertainment/lounge area with pool table, large screen TV, bar fridge and washroom (with toiletries and hair dryer). 24 hour coffee/tea self-serve in the Breakfast Nook. Accommodates from 1 to 4 persons; ideal for two couples; a family of four; couples and singles. 2. 600 sq foot open concept room with cathedral ceiling, one queen bed and one queen futon, large screen TV, bar fridge, dining table with two chairs, clock/radio, robes, slippers and private en-suite washroom (with toiletries and hair dryer). Private patio. Accommodates from 1 to 2 persons; ideal inspirational retreat for a musician, writer or artist. Overlooks open green space and an ancient pine tree. (Seasonal from April 1 to November 30). Nestled under a canopy of 150+ year old trees and the rolling hills of Caledon, the Inn is completely private and provides ample indoor and outdoor space to relax and enjoy nature, especially great for those who love 'birding'. 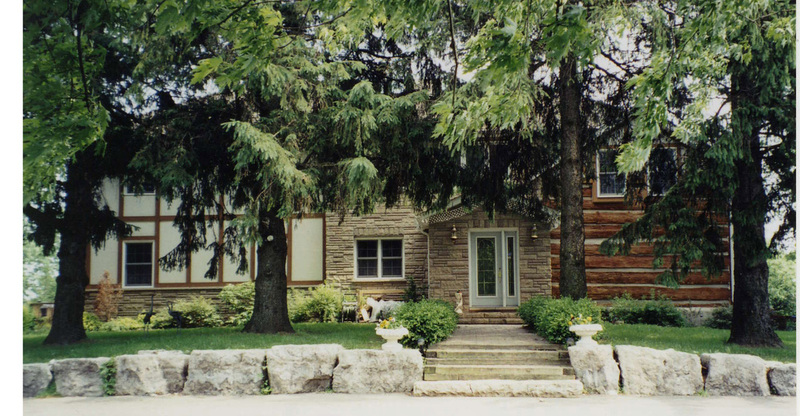 With several outdoor sitting and dining areas, a pond and wildlife refuge, the Inn is ideal for getting back to the country .... while only 45 minutes away is the major city of Toronto. Member of BBCanada.com and Headwaters Tourism Association. ​FOBBA is a provincial organization representing the Bed and Breakfast industry in Ontario. Members agree to adhere to a high set of consistent standards defining cleanliness, comfort, quality and hospitality.